The ancient philosophical texts The Yoga Sutras of Patanjali constitute the foundations of yoga. The sutras cover what is known as the ‘Eight Limbs of Yoga’ – each limb is an aspect of the path of yoga, and offers us guidance within our practice, both on and off the mat. The first limb of yoga is the ‘Yamas’; moral values – the guide to how we can best act towards ourselves, and the world around us. It’s no mistake that the Yamas come first. From complete beginners to the most experienced yogis, remembering Ahimsa throughout our yoga practice guides us to let go of thinking negatively about our body. We practice accepting ourselves completely – no matter how strong or flexible we are at this moment. Of course we challenge ourselves in order to grow, but never push ourselves to the point of harm. Does it really matter if you can put your leg behind your head, or hold a plank long enough to satisfy your ego? By respecting our boundaries and listening to our bodies, the practice becomes sustainable and a way to really learn about ourselves. Our bodies will respond to kind, consistent asana practice in ways you could never imagine. 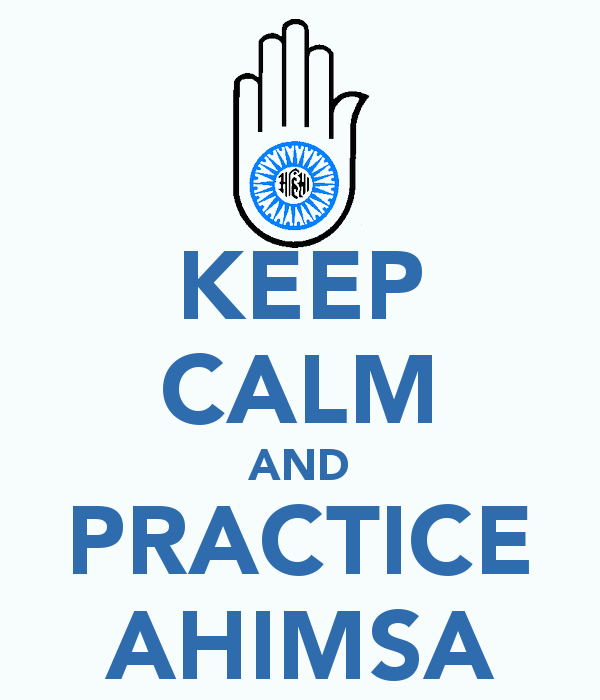 Ahimsa means being mindful of our thoughts, and making sure they are kind. When we think negatively, we send messages through our body that cause the fight or flight response, secreting cortisol (the ‘stress hormone’) in to the body. It’s not just thoughts about ourselves we should be mindful of; Jealousy, judgement, anger and resentment directed at someone else make us and everyone around us feel badly. On the other hand, ‘non-violent’, loving thoughts cause dopamine (the ‘feel good’, ‘relaxation’ chemical) to be released in to the body. When we pay attention to our bodies and our minds, we begin to realize that there is a much deeper meaning to our practice, and that the path of yoga has so many amazing gifts to offer. 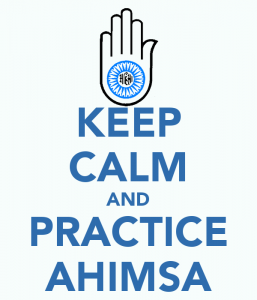 How can you bring more Ahimsa into your practice?